Home » Seasonal » Thanksgiving » Black Friday vs Cyber Monday: Which Has the Best Deals? The holidays are coming, and with them, the hottest sale of the year, Black Friday, which falls on the Friday after Thanksgiving. As online shopping has become a more feasible option, e-retailers have joined in with their own savings extravaganza, known as Cyber Monday, the first Monday after Thanksgiving. So many choices, so many discounts: what’s a person to do? While you can still buy things at a discount at certain times of the year, these twin holiday sales are pretty hard to beat. I know I look to these shopping holidays as a time to save money while buying my kids’ Christmas presents (and okay, admittedly also their birthday presents because you just can’t argue with these prices), but which of these retail holidays offers the best deal? Should I get in my car and go to a store, or is the best option for what I’m looking for found on my computer’s browser? Let’s explore our options. Perhaps you’ve decided to get your child the new gaming system they asked for, or maybe your spouse wants a new TV. Maybe you’re looking for a new computer. Whatever it is you’re looking for, According to this handy article from The Street (@TheStreet), Black Friday has the best deals for electronics. 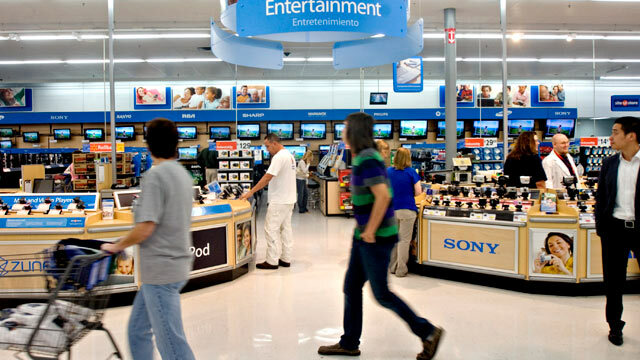 While Cyber Monday also has great deals, electronics sell for rock-bottom prices in stores on Black Friday. Plus, you won’t have to wait for delivery; just put that new TV in your car and head home. The hottest finds of Black Friday and Cyber Monday can be found in the clothing section. Although Black Friday offers the ability to try on the clothing, Cyber Monday offers the best deals according to this list from MainStreet (@MainStr).You can also look for sites that offer coupons and cashback offers to save even more. Remember that many online stores offer free shipping on orders over a certain amount or if you have a membership with that site (Amazon, for example). Toys, movies, gaming consoles, and the like will fly off the shelves faster than you can say “Black Friday!” Overall, according to this handy table from DealNews (@DealNews), Black Friday (or Thanksgiving Day, if that’s your thing) will have the best prices on most things in the “entertainment” category. So grab that coffee, head out the door to your nearest store, and get that awesome discount on your kids’ biggest holiday wish item. If you’re like me, you look to save as much money as you can, especially on big-ticket items like a new stove or beds. With the time of the big holiday sale right around the corner, now is the best time to get those necessary items. According to IBTimes (@IBTimesNews), Cyber Monday and Black Friday are tied for first place in the best deals on appliances and home furnishings. My best advice to you, in this instance, would be to compare the prices online with those in physical stores. Bring that smartphone with you and compare away. My family has a strong tradition of putting our holiday decor up as early as possible, but we inevitably acquire more throughout the season. Occasionally, we actually need it — this year, we need a new tree for our house. Now I just need to figure out if I should order one on Cyber Monday or head off to the store and buy one on Black Friday. According to the folks over at NerdWallet (@NerdWallet), my best bet is, honestly, to wait until the day after Christmas for the best sale. Since that’s not really an option for us, they go on to say Black Friday is likely the best bet for an awesome discount on necessary holiday decor. All in all, it looks like Black Friday has the best deals in most cases, though Cyber Monday is definitely nothing to scoff at. As I said above, if in doubt, bring that smartphone with you and compare online prices with store prices while you shop. Remember, comparison shopping may bring you the best discount you can find. Have you shopped Black Friday or Cyber Monday? Which one did you think you got the better deals with? Let us know in the comments below, and don’t forget to share with your friends and family.